When contacted by this Poway pool owner, they were having a problem with the pool heater. They reported that there was an error5 reading on the indoor, pool automation screen. Their pool heater is a Pentair MasterTemp pool heater that was in fair condition upon visual evaluation. Regardless of the information provided by the homeowner or the heater itself, we always thoroughly troubleshoot. We start by running through a set of steps that will help identify the issue and in the least, give us the best point to start at. 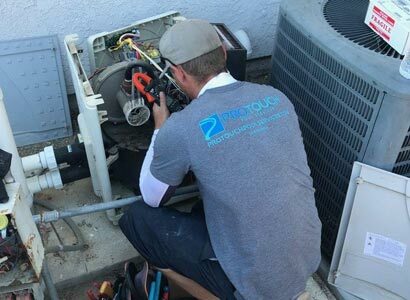 Once the problem is identified, we will then fix the pool heater or contact the Poway pool owner with a cost for the necessary repairs. When we are quoting for pool heater repairs or any other scope of work, we always contact the customer first. We will then provide a written estimate for the work so the pool owner can authorize the necessary pool repairs or pool equipment replacement. Pool heater repairs in Poway or any other area can sometimes have more than one issue. Whenever performing pool heater repairs, we will always let the customer know that this might be all that is needed but, at times there will be additional work required. Occasionally, pool heater repairs start with one repair and turn into multiple repairs or the replacement of certain parts. Pool heaters can often encounter a problem that causes multiple replacement parts and not always can that be identified until the initial pool heater repairs are made. 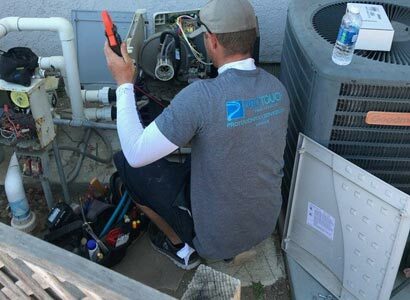 At the time of the pool heater troubleshooting, we will always provide the customer as much information possible about the overall condition of their heater. We do not want to charge for pool heater repairs on a pool heater that does not warrant a repair. This is when we would recommend upgrading the pool heater as any repairs would be a costly waste of money. There is a point in time where it is better to replace the pool heater rather than throwing good money at a bad pool heater. We specialize in pool heater repairs and new pool heater installation services as well as various other services. We offer complete pool equipment repairs and new pool equipment installation as well as weekly pool service in Poway, CA. If you have questions about an older pool heater or need to schedule a pool heater repair or replacement, we can help. Give us a call or fill out our contact form as we are always happy to help.